Only when man has developed not merely a fellow-feeling with all men, but a dominant sense of unity and commonalty…only when he has learned to live not in his separate personal and communal ego-sense, but in a larger universal consciousness can the phenomenon of war, with whatever weapons, pass out of his life without the possibility of return. Meanwhile that he should struggle even by illusions towards that end, is an excellent sign; for it shows that the truth behind the illusion is pressing towards the hour when it may become manifest as reality. For learning classical music you need a very good teacher. We don’t have anybody of that level here. Besides, India is full of classical music. Now that you have come here, your primary purpose in life is the growth of this inner life. It is fine that you are learning music with Dilip and Sahana. …Then with great force and firmness, She said, “What I want from you is music, but the music that flows from your soul. I want to see you create your own music.” As She said this, She tapped me hard on my chest two or three times and kept looking into me for a while in a most serious way. The author concludes her book with the reflection that the call to transform the conventional ways of thinking, old habits, and outdated customs, the daily work of such change is our inheritance from the Mother, and reflects her continuing presence and action in our lives. Sri Aurobindo has written on the League of Nations and on the United Nations in its early stages in the light of man’s progress towards a greater human unity, not as prescriptions for an efficient world organisation. 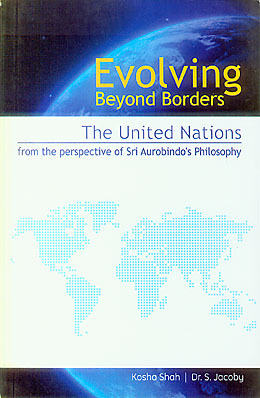 Basing their research on this same view, the authors look at Sri Aurobindo’s social and political vision for humanity on the one hand and on the other examine the evolution of the United Nations and some of its special agencies, its role in war and peace, its stance on the question of self-determination, and the challenge represented by the power of economic interests. A special reference is made to the European Union and its struggle to rise above national ideals and interests. These reminiscences date back to 1942, when the author first met the Mother, and describe how she eventually came to settle permanently in the Ashram in 1951, while still a teenager. Dance and music were her interests and later, in the Ashram, they became her field of work and sadhana. As well as performing, she taught singing and arranged cultural programmes. In this book, translated from the original Bengali, she gathers memories recorded over the years in her notebooks and brings them to life in a series of vignettes. Through the intimate details of her exchanges with the Mother, a vivid portrait of her spiritual journey emerges from the pages. 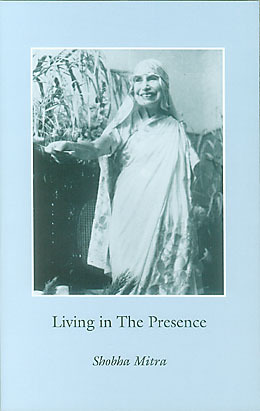 This book is a fount of information on the life and work of Sri Aurobindo and the Mother. Covering the entire period of their lifetime, it is "based on documents which have never been presented before as a whole by other authors. It gives a surprising look behind the scenes of the history of this century. It presents a positive evaluation of the crisis our Earth is subject to at this very moment and it opens a vertiginous but hopeful perspective on the coming of a superhuman species and a divine life upon Earth." German translation of How Do I Begin? and How Do I Proceed? A selection by the author from his "diary-notes, letters, talks, so as to throw some light on our life centred round her whom we loved  and love  as our Douce Mère, Sweet Mother ... It is hoped that what has been presented in these papers will bring her personality closer to the heart of the reader and help to keep burning the flame of love which she has lit in every one who has come into touch with her."